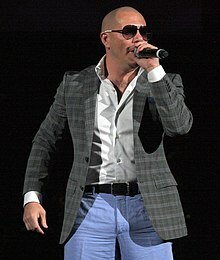 RCA, TVT, Bad Boy Latino, Polo Grounds, Mr. 305 Inc.
↑ Hustle and Row: All Aboard Pitbull's Boatlift. Latinrapper.com. Retrieved on 2012-04-11. ↑ From the Kennel to the Streets: Pitbull Brings Miami Heat. Latinrapper.com. Retrieved on 2012-04-11.